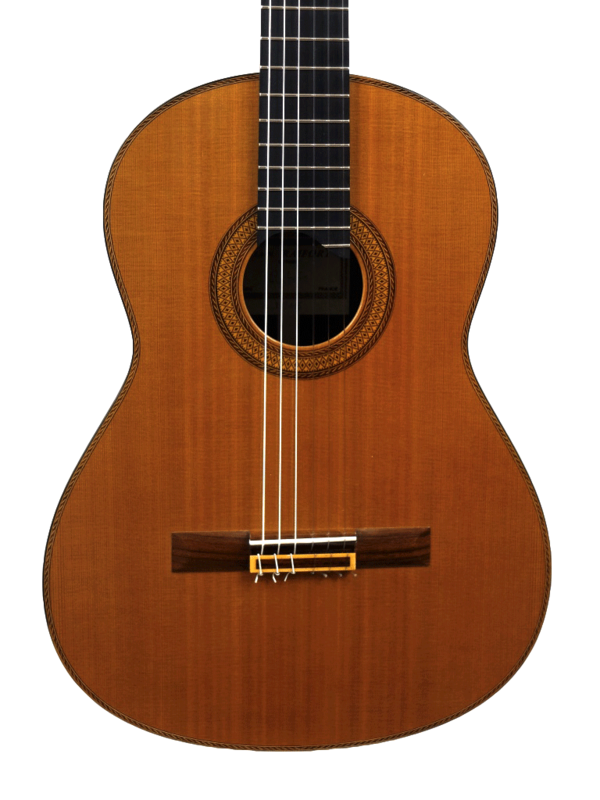 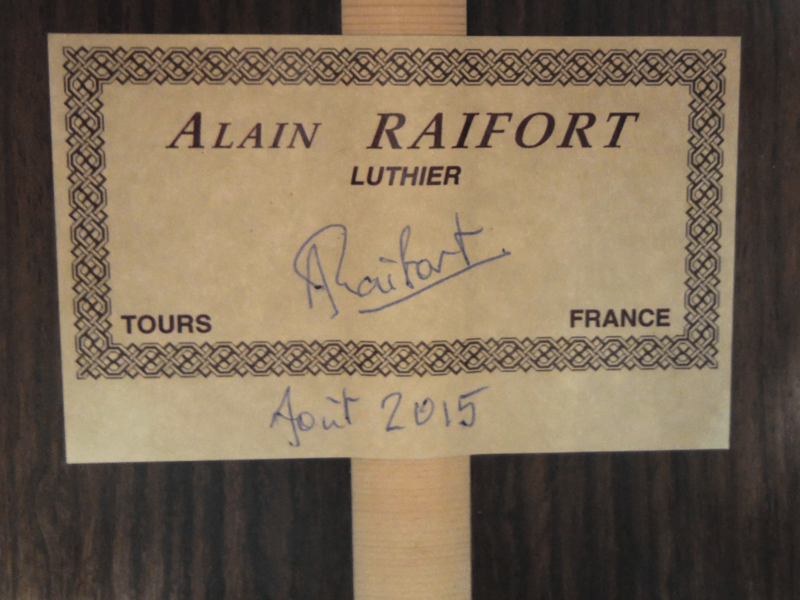 We are glad to display this beautiful guitar, signed by Alain Raifort. 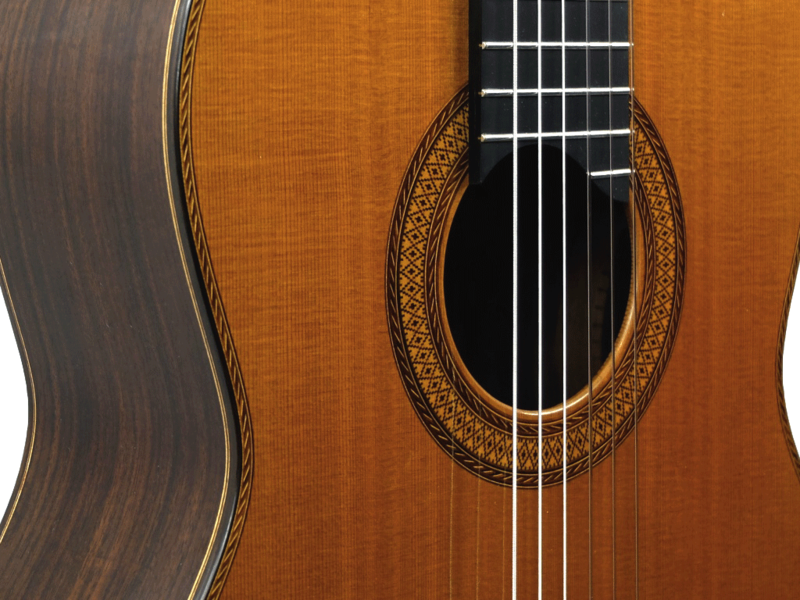 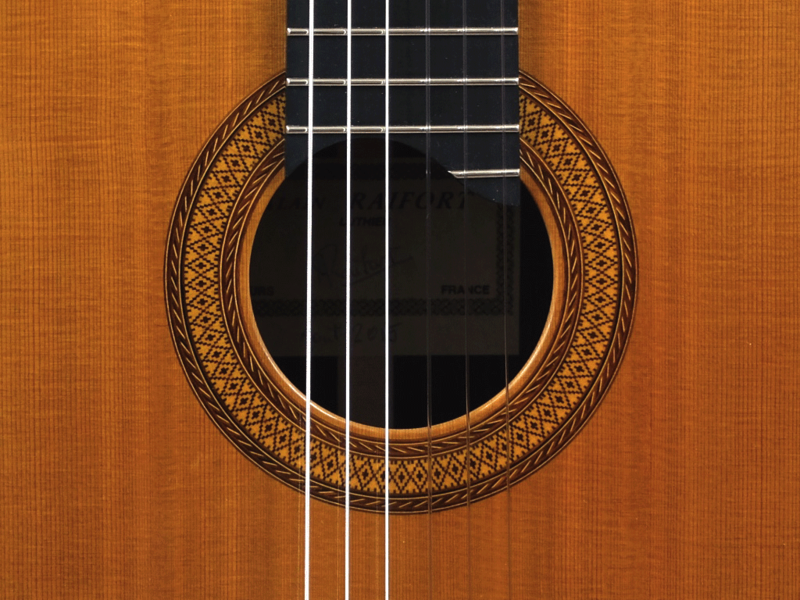 Aesthetically speaking, this is a very elegant instrument, thanks to the choice of woods and the halftone colour contrasts in the rosette and purflings. 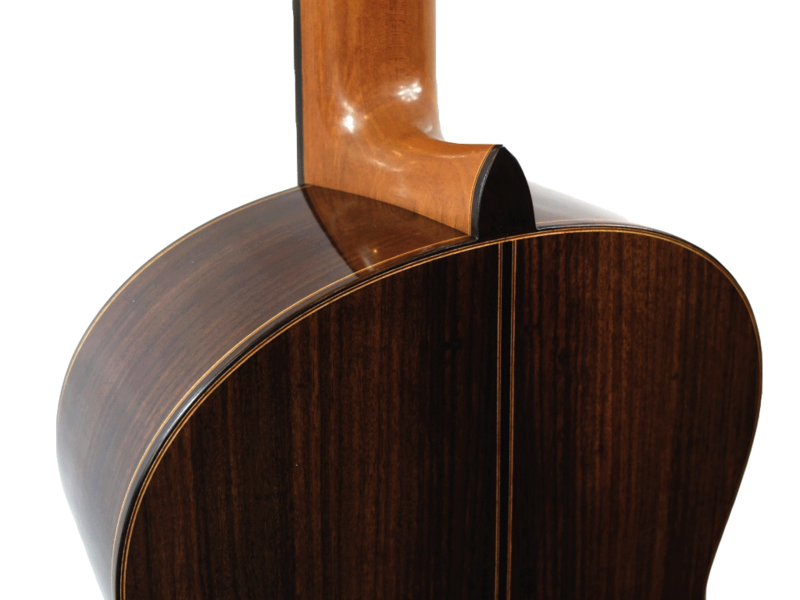 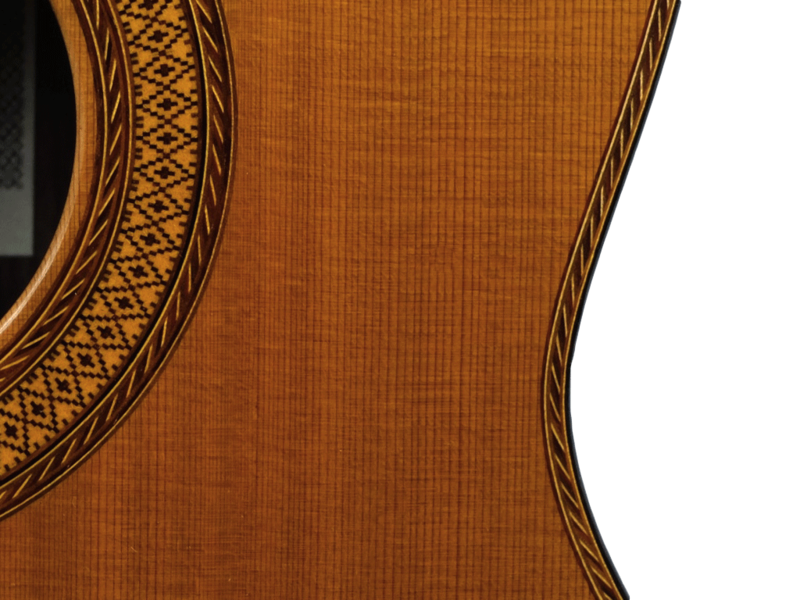 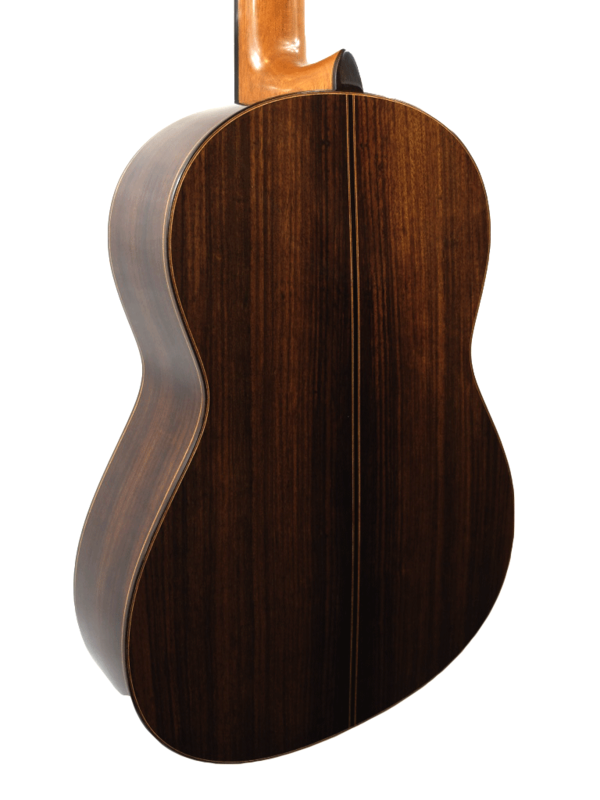 The lutherie work and the finishes are done with the greatest care. 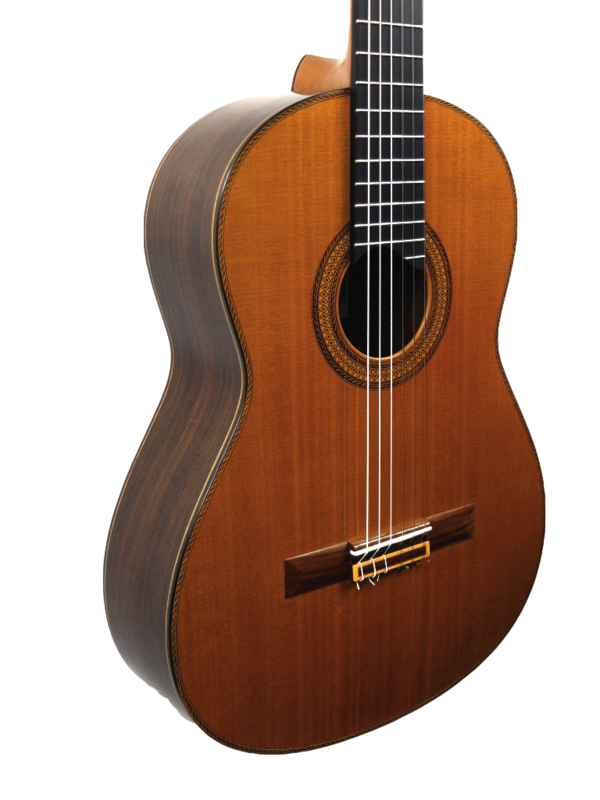 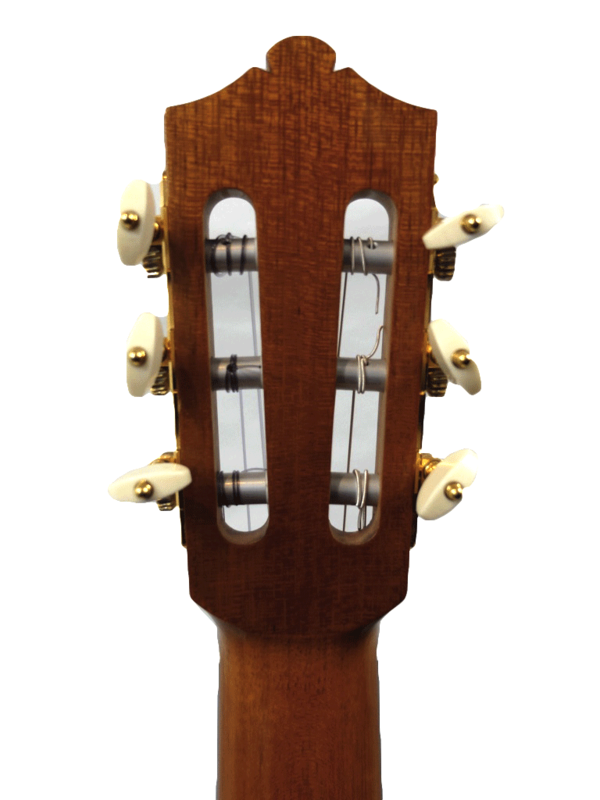 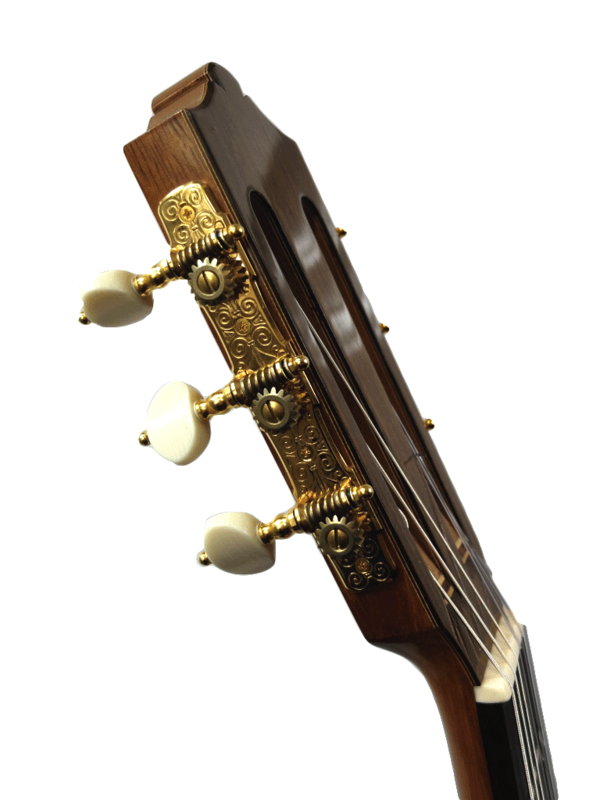 This well-balanced instrument remains powerful all along the fingerboard. The notes are rich in harmonics, extremely flexible and vibrant. 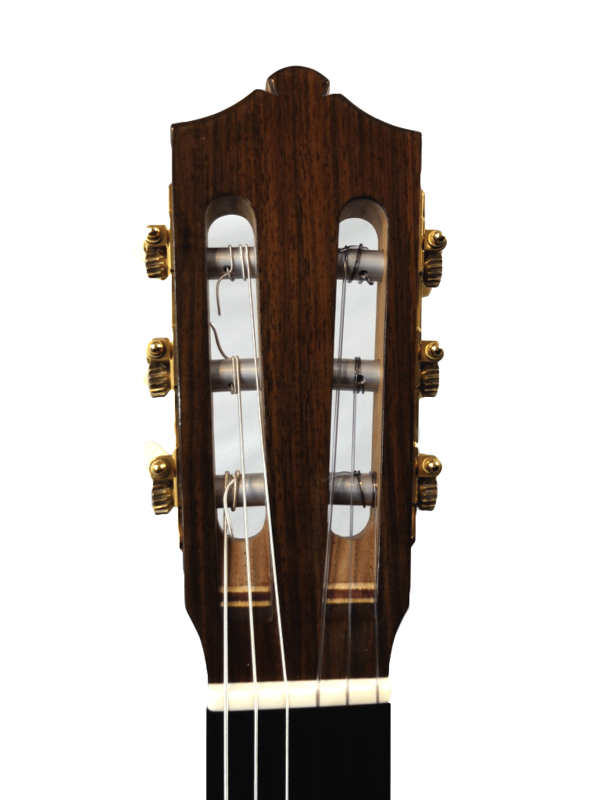 In addition, it also offers the deep and lyrical timbre typical of this luthier’s guitars and which accounts for their charm.